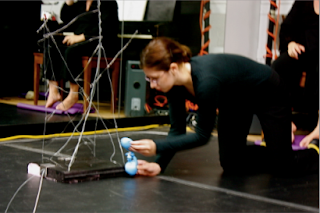 Sandglass Theater and The University of Connecticut’s Puppet Arts Program offer an annual three-week Puppet Arts Training Program for puppeteers, builders, writers, and all of those who want to further explore the puppet as a medium. Puppet Heap intern Christine Dempsey has been participating in the program this year [from June 27th to July 17th] and we can't wait to see what she comes up with -- participants get open workshop time for building & an opportunity to develop their own pieces. Other sessions include body training & breath development for performers, discussion of puppet theory, improvisation workshops, and more. Click here for more information about the Sandglass Institute.